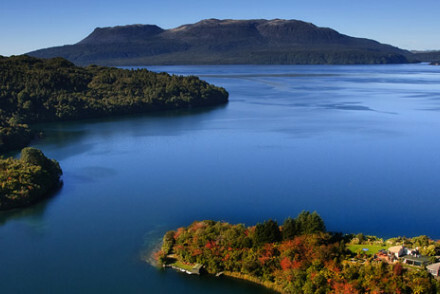 Rotorua is New Zealand’s thermal country. A wonderland of hot springs, geysers, exploding mud pools, natural vents and sulphur pools. Visitors have been gathering here to experience these wonders for more than a hundred years. These days many folk also stop to enjoy the surrounding scenery and do a bit of fishing, boating or rafting on the area’s numerous lakes. 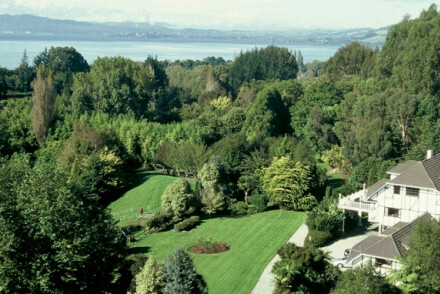 Many of the best places to stay in Rotorua are around Lake Taupo, or one of the other lakes, offering peaceful views and stunning volcanic mountain scenery. A large number of Rotorua’s attractions are based around the geothermal landscape. There’s the Wai-O-Tapu Thermal Wonderland, with its regularly erupting geyser and wonderfully bubbly Champagne Pool. Te Puia has bubbling mud pools and more geysers and Whakarewarewa Thermal Village, which has more of the same. The Buried Village, which is the excavated ruins of a village engulfed in ash by the Mt Tarawera eruption in 1886 is definitely worth a visit. There are also a number of natural springs and pools and some spectacular walking trails. If you’re looking for adventure then you won’t be disappointed either, Rotorua is well set up for adrenalin lovers, with a land-luge sled, heli-tours, white-water rafting and zorbing. There is a high percentage of M?ori people living in Rotorua, so this is a great place to experience some of the local customs such as attending a feast or seeing a traditional performance. It might not seem the obvious way to explore the geothermal region, but this is actually a cyclists paradise. There are some incredible mountain biking trials and some challenging road climbs. Fish, sail or raft on one of the scenic lakes. Experience authentic traditional Maori villages, such as the Buried Village, Whakarewarewa, Te Puia or Mitai. Indulge in some serious natural spa time - think, thermal baths, mud baths and healing mineral pools. Visit the ‘Rainbow Springs Wildlife Park’ and spot the iconic Kiwi. Take a gondola ride to the top top of Mt. Ngongotata and enjoy panoramic views alongside a glass of regional wine. Our pick of the best places to stay in Rotorua are mainly lake side properties and all are great bases for exploring the area without being in the centre of town. 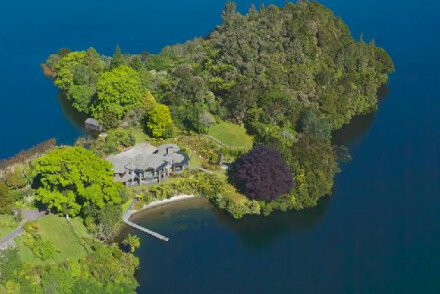 Solitaire Lodge is a luxurious, nine room lodge on a private peninsula on the shores of Lake Tarawera. As well as stunning views, the lodge also has thermal baths. Plus you can swim and fish right in the lake. 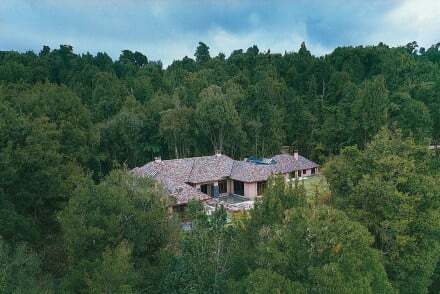 15minutes drive from Rotorua is the lovely spot occupied by the Hamurana Lodge, overlooking the lake. The ten rooms and suites are large with natural stone and wood finishes and there’s an outdoor pool and 15 acres of landscaped gardens. 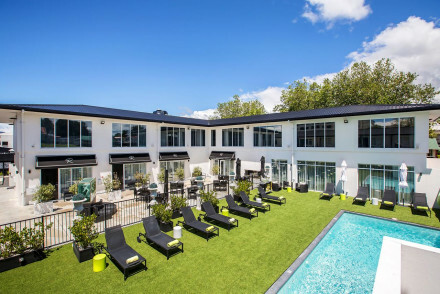 The Wai Ora Lakeside Spa Resort is a 30 room luxury hotel and spa with bright, modern decor and comfortable rooms. There’s also a great local menu, a tranquil setting, and it’s all great value, starting from a little over £100 per night. The Lake Okareka Lodge by lebua offers the ultimate in secluded luxury. On the tip of a private peninsula and has just three huge suites. Each suite has a private veranda, modern decor and top facilities. There is also a pool and outdoor spa baths, a gym and library. Treetops Lodge and Estate is a luxurious lodge set in the heart of an eco-forest, with a range of self-catering accommodation choices. Find large spacious rooms with timber and stone finishes, local art on the walls and open fireplaces. If you've decided that a self catering property would be more suitable for your holiday we recommend you visit our online booking partner Booking.com where they have a wide selection for all tastes and budgets. Rotorua has a small airport serviced regularly by Air New Zealand who fly there from Auckland,Wellington and Christchurch. The best time to visit is during the summer months (January to March) when temperatures average at 20'C. 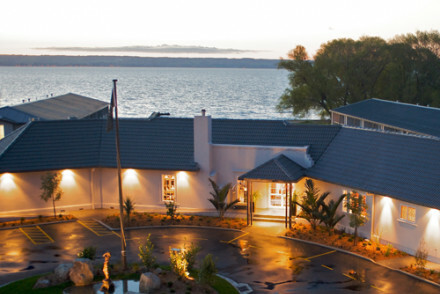 Browse through our list of all the best places to stay in Rotorua. Alternatively you can check out all our North Island recommendations.